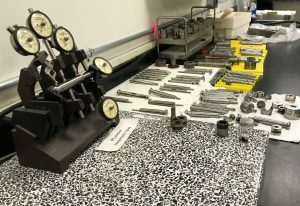 If you want improved performance there can be nothing more important and effective than making certain a machine is setup with tooling that is inspected and in proper condition. If you don’t know the tooling condition a good percentage of troubleshooting is out of control before the run even starts. We can help your team care for, clean, repair and polish tooling effectively for improve performance. In very short order you can be assured your tooling will perform. We often help with design and to improve performance, overcome defects, and help your team get what they need from each set of tooling. Request information about "Punch & Die Inspection and Care"